AI has been revolutionising almost every single industry in a fascinating way over several years now. From brilliant personal assistants (hello, Siri and Alexa), to self-driving cars, to robots that help children with long-term illness fight their loneliness. No wonder that the next AI target would be the field of digital marketing. And when there is a fairly large portion of articles on the impact of AI in digital marketing there is still rather little information on how crucial these implications are for video marketing. We already know that there is such a great amount of video out there. We see it everywhere. In fact we should be ready for even more, as by the year of 2019, 80% of the world’s internet traffic will be video. It seems like the future of video marketing is quite exciting. Of course, all of that makes perfect sense, because the average attention period is short, and most people would rather watch a video than read yet another blog post (sic!). Knowing that, we can implement completely new video marketing strategies and be ready for what comes next. The crucial step is to change the way we repurpose video. Marketers should move away from typical 30-second videos and focus more on exciting and meaningful content, based on their knowledge on customers needs and behaviour. Integrating AI into video intelligence platforms is a major step ahead. AI has the ability to collect data effortlessly, a work that would take marketers many years to complete, and compile it into a report which shows consumer behaviour. This can be used to better strategise on targeting, forecasting, performance and integration with a new video strategy and optimisation. And as a result, customers will be more likely to click on video content that reflects their actual interests and needs. 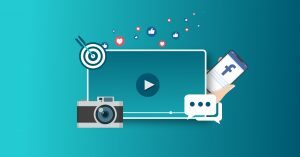 This puts marketers in a very convenient position, where they will be able to efficiently provide detailed information to execute campaigns and ads, and test the content even before the video goes live. Another tool that every marketer should consider is a AI video transcription. With the Google AI Video Transcription add-on, marketers can automatically generate speech-to-text transcripts of videos. Humans mastering voice transcription could take years. Just think about all the different accents and languages people use all over the world. In addition, rather often languages with different dialects require natives from a particular area to transcribe words into more common language. But now it won’t be a problem anymore as AI offers the assistance in transcription work, which saves valuable time for marketers. AI clearly impacts the future of video marketing, making marketers’ lives much easier by assisting in complicated video transcriptions and running deep analytics to help create exceptional video marketing strategies. That creates a situation where both customers and marketers are the winners! Without a doubt Artificial Intelligence will continue to be a crucial tool for digital marketers as well as any other industry. Want to create awesome videos? Get a Free Trail!